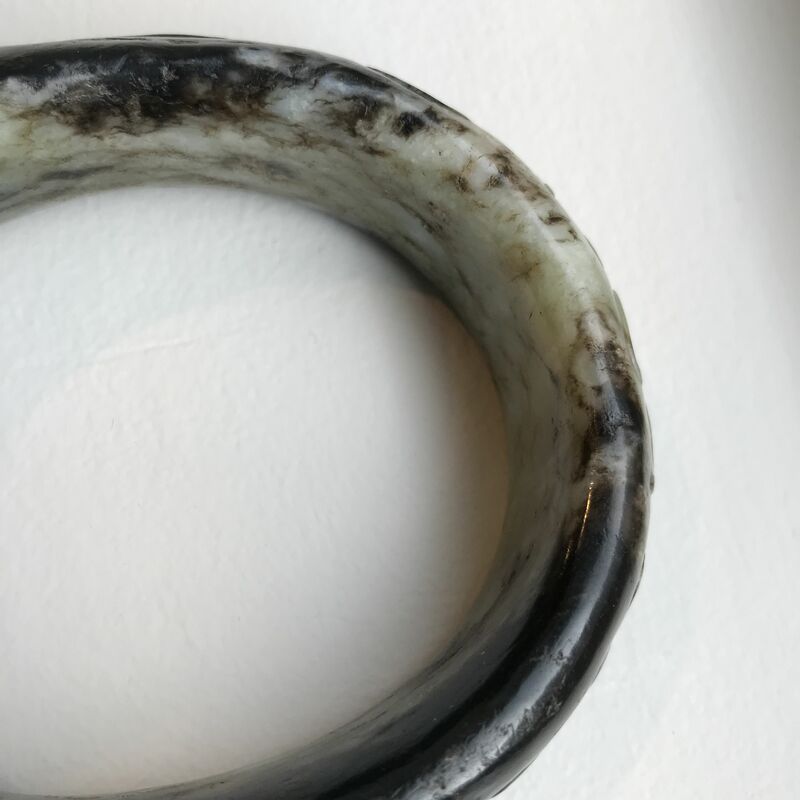 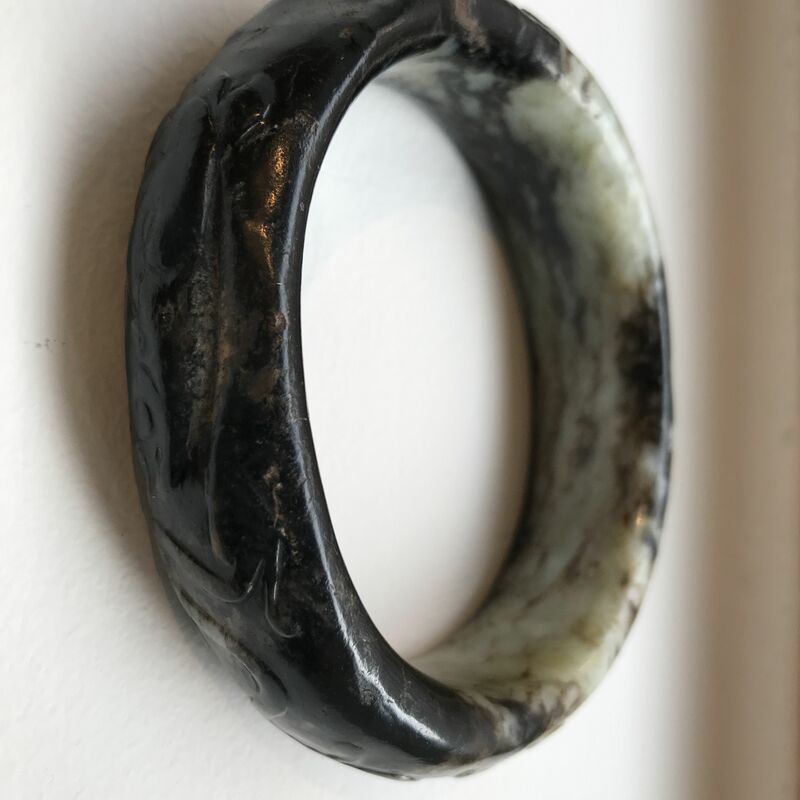 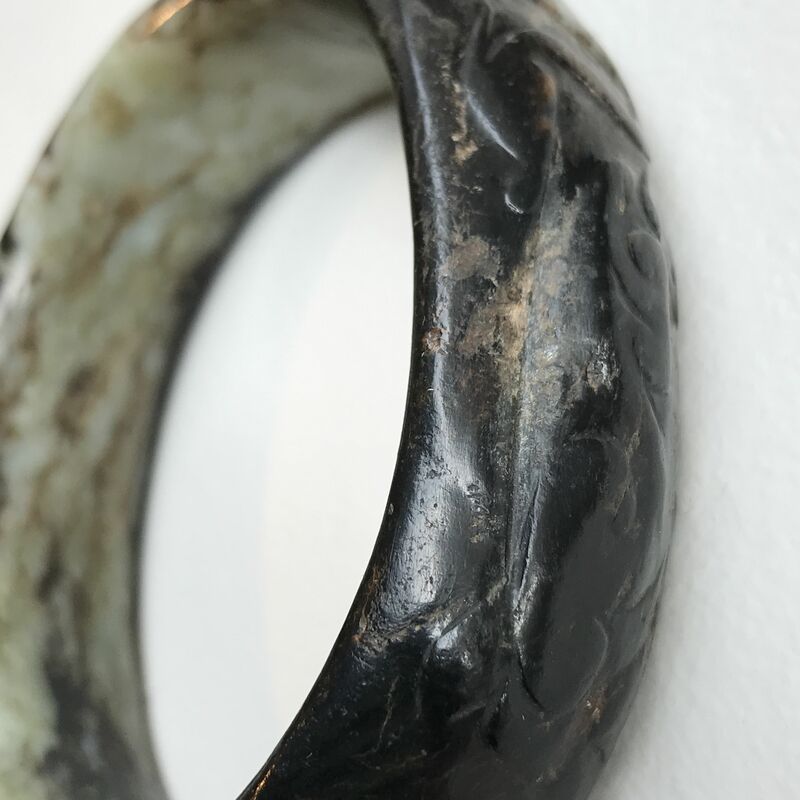 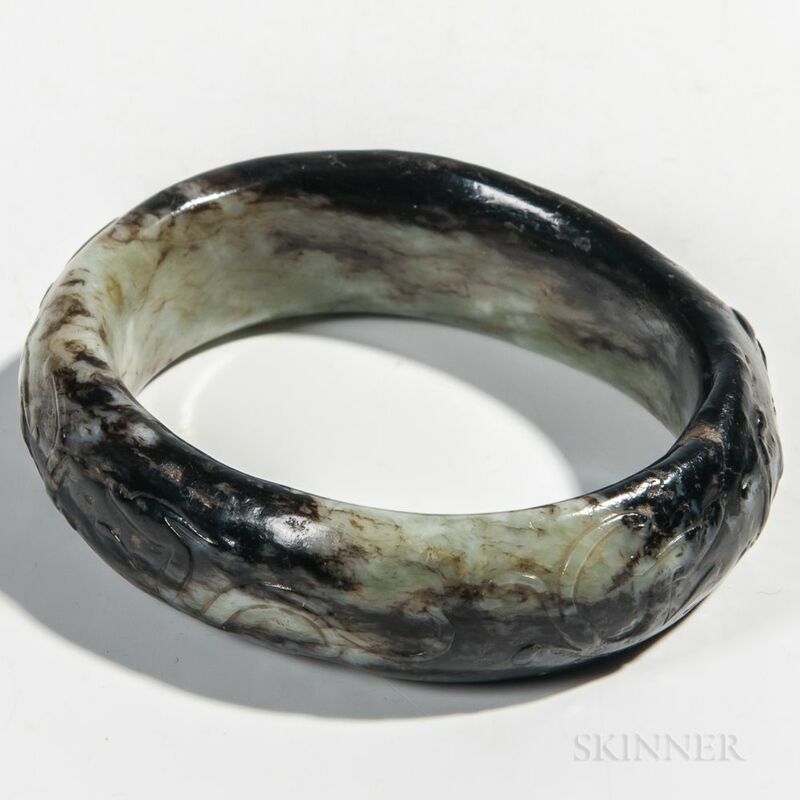 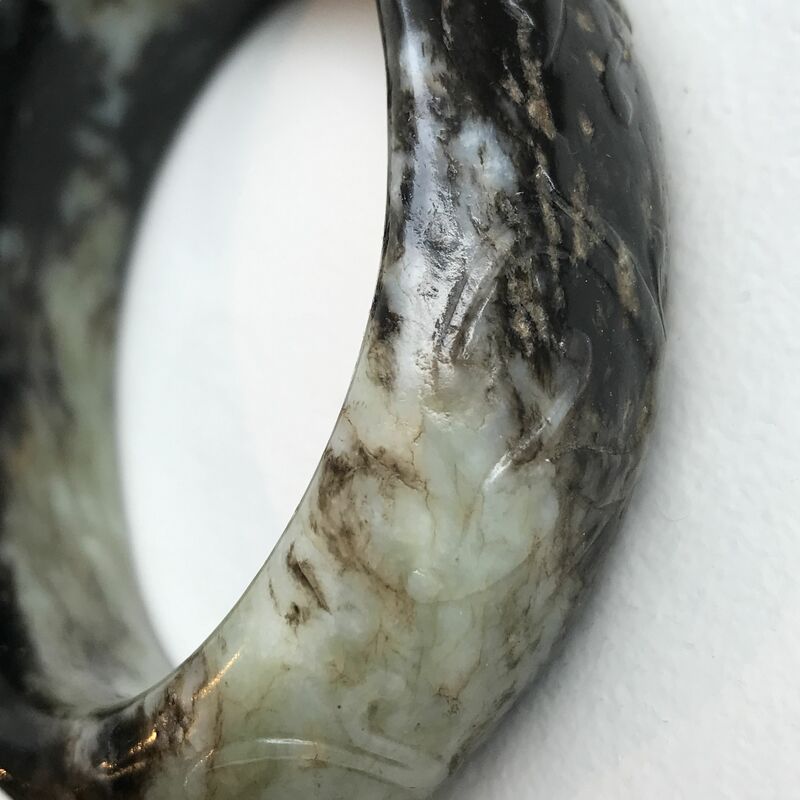 Jade Bangle, China, oval, decorated with a chilong design in relief, mottled celadon and black stone, dia. 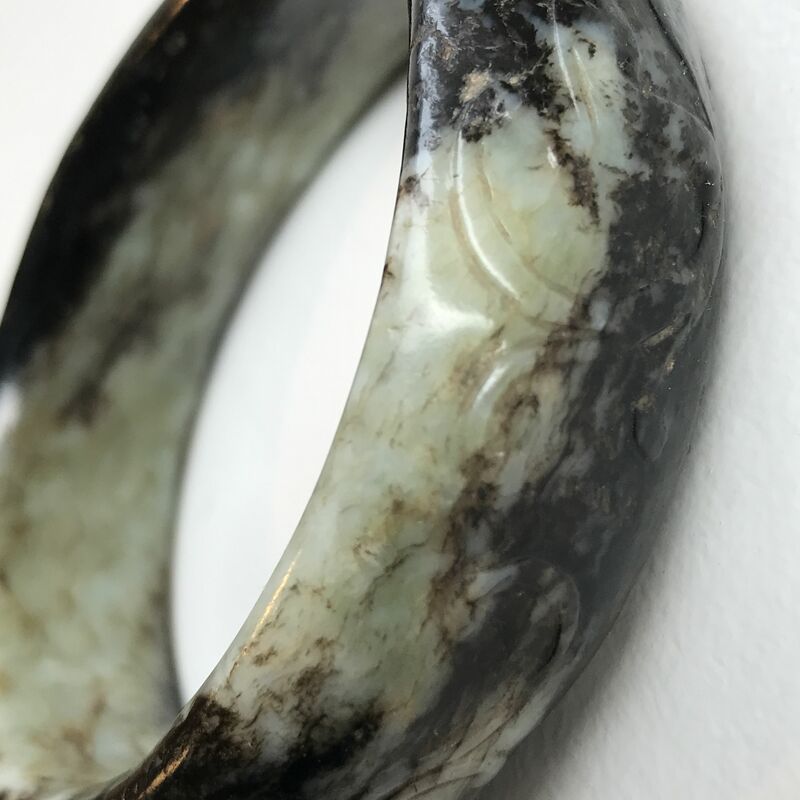 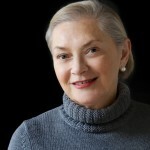 3 1/2, inner dia. 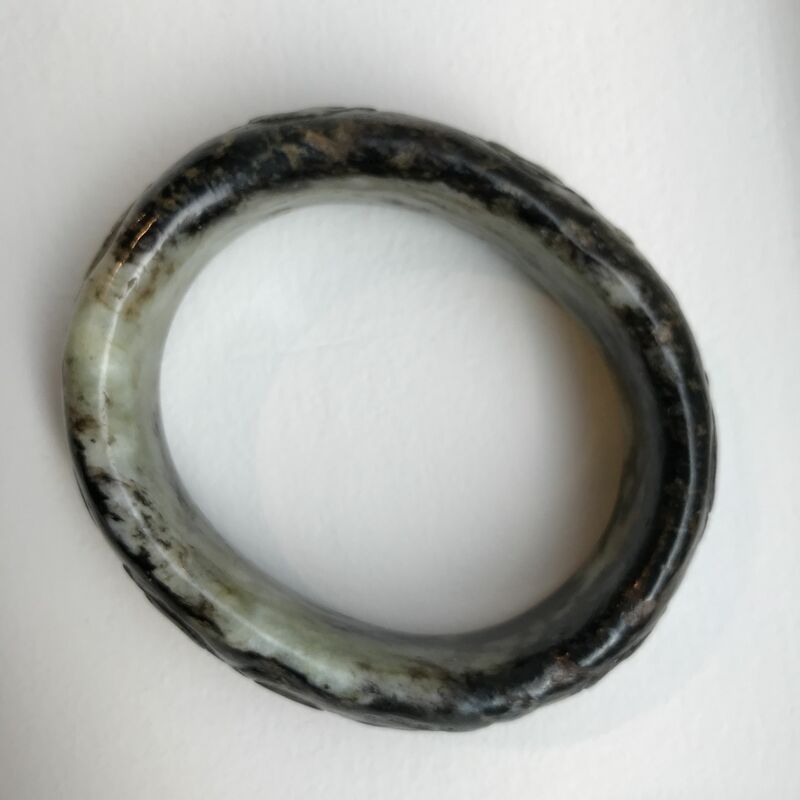 2 5/8 in.